Andrea Beaman is an internationally renowned Holistic Health Coach, Natural Foods Chef, thyroid expert, and herbalist who is dedicated to educating others about alternative healing and sustainable eating and living through her online courses, blog, and new radio show, Healthy View Radio. Named one of the top Most Influential Health and Fitness Experts in 2012, she has been teaching people how to harness the body’s own preventative and healing powers with nutritional practices since 1999. She’s the best-selling author of The Whole Truth, Healthy Happy Thyroid, and Health is Wealth. 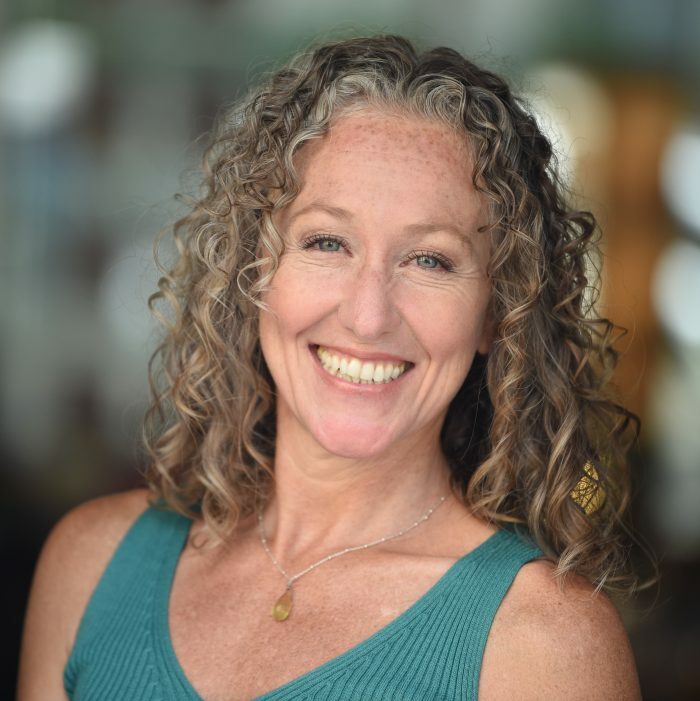 She’s taught at The Institute for Integrative Nutrition, the Natural Gourmet Institute for Food and Health, Omega Institute for Holistic Studies, and the Kripalu Center for Yoga and Health. Her work has been featured in SELF-magazine and Martha Stewart’s Whole Living, among others. She’s been a featured health expert on CBS News and WPIX 11, and I also have to mention that she was a contestant on Top Chef. Andrea is truly one of the wisest women I know, and I can’t wait to share her with you today. I’d be so grateful if you subscribed on iTunes and left a review. The more reviews we have, the more likely fellow female entrepreneurs are to find these powerful interviews and get the insights they need to move their businesses forward.